Any food products that contain ethoxyquin or copper sulfate as these are known to be poisonous chemicals to invertebrates. You can do a quick search online to find some of the best organic staple food, treats, as well as supplements that you can provide your hermit crab to ensure that your pet will remain in top health. There are some good-quality pellet foods that you can also opt to offer to your hermit crab. But as your pet does not have claws to grab pellet foods, you will have to crush them to smaller bits before offering them to your pet. Remember that hermit crabs are extremely sensitive to metal. That means you will need to find food and water bowls that are not made of metal or non-porous material, but of ceramic and similar materials. Just as you need water to remain properly hydrated, your pet hermit crab also needs enough water to survive and remain healthy. Allow your pet to have easy access to fresh, clean water at all times. If you will be giving tap water to your pet, you will need to add some dechlorinator or water conditioner to the water that you will serve your pet. Like you, hermit crabs also like variety in the food that they consume. 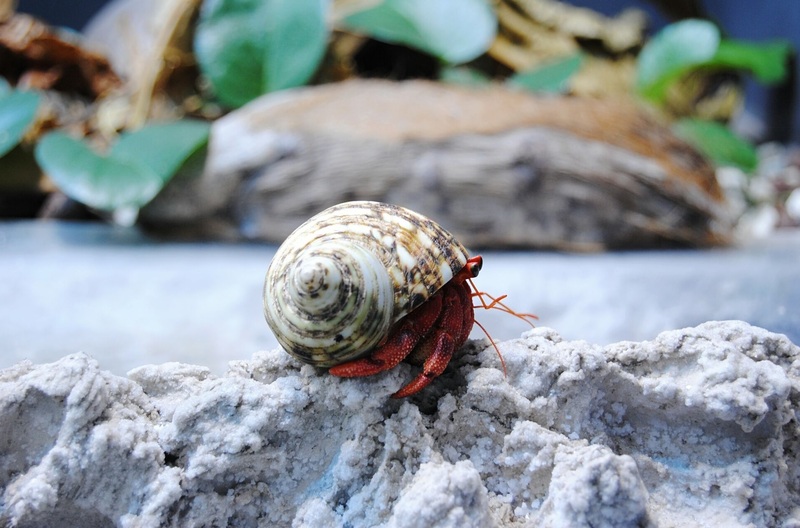 Even though your hermit crabs are known not to be picky eaters, offering a variety of food items to your pet will make each meal time a bit more interesting for the hermit crab. You may also hand-feed your pet to make the food serving a lot more interesting for your pet. Coax your pet out of its shell and place the food under its pinchers. If your pet is hungry and likes the food that you are offering it will pinch the food and put it in its antenna to have a taste of the food particle before putting it into its mouth. It won’t take long before you and your pet will get used to this hand-feeding practice. You’ll pet will love it if you can offer food pieces that are healthy, clean, and prepared just right.